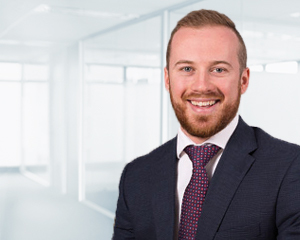 As a Wealth Adviser working out of the Canberra Office, Seamus Byrne is committed to assisting his clients achieve their individual financial and investment objectives through effective wealth management strategies. Prior to his current role, Seamus worked at Walsh & Company with the Corporate Finance team, affording him a deeper insight and understanding into bringing investment products to market via Initial Public Offerings (IPOs) and capital-raisings. Using his background and drawing on the expertise of the Investment Committee, Seamus is well-placed to tailor portfolios specifically designed to help meet his client’s objectives. Seamus joined Dixon Advisory in 2015 and holds a Bachelor of Economics and Bachelor of Finance from the Australian National University. He has also completed a Diploma of Financial Planning through Kaplan.